The technological laboratory is a workplace equipped to verify the proposed technological procedures of production of various membrane types and to verify functions of the developed membrane devices. Co-extrusion line – A device uniquely combining co-extrusion and cylinder thermoplastic technologies for the purpose of manufacturing and preparation of prototypes in the field of highly filled heterogeneous composites and polymers with ink to ion-exchange heterogeneous membranes, bipolar membranes, various separation foils, membranes on polyolefin basis, functional polymers on the basis of ion-exchange resins. It allows research in the field of thermoplastic production of polymer foils for engineering solutions of membrane modules, in the field of tubular forms of membranes, technologies of production and preparation of special composite electrode materials. The device was developed by MemBrain specialists exclusively for the MIC purposes. 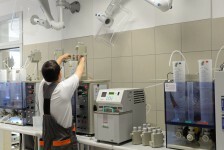 Test room for prototype membrane technologies – The purpose of the device is characterization of the technological benefit of research and development results, verification of their long-term stability and definition of critical parameters of the applicability of research and development results. As a side effect, it allows to obtain data used for validation of mathematical models of the technological parameters of the device. Discontinuous and continuous homogenizers – These devices complete a variable system ensuring preparation of raw materials for production of development ranges of heterogeneous or homogeneous membranes, produced by the co-extrusion line. They allow preparing very small quantities of both mixtures highly filled with powder bonding agent and mixtures of more bonding agents at minimum consumption of initial raw materials. 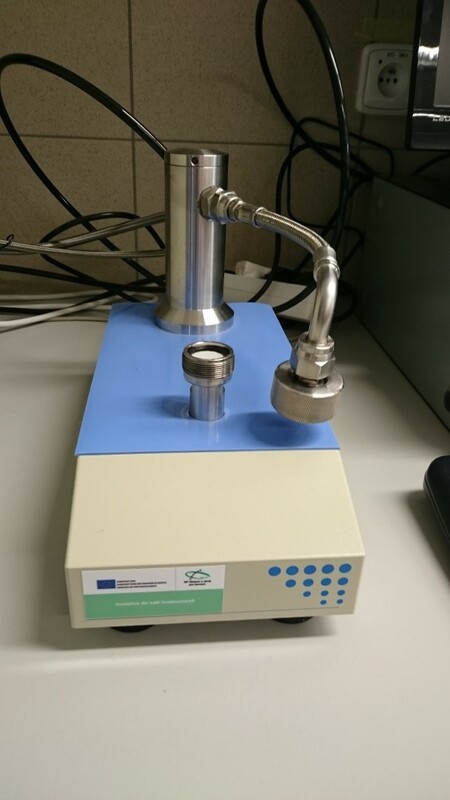 Device for preparation of hollow fibre membranes – It will be used to produce laboratory and pilot samples of membranes for membrane separations of gases. 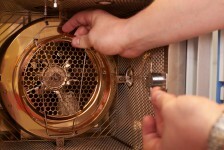 Produced membranes will be used to assembly membrane modules which will be further tested using specific gas mixtures.